In its first year Ironman Lake Tahoe proved to be a far tougher and slower race than expected with a DNF rate of around 25%. In its second year there was a 100% DNS rate as wildfires forced the cancellation of the race. This year the race was able to go ahead. Entries look to be down after the rough opening years and there are no more pros at this event. Results in 2015 look to be faster though, admittedly not that much faster. The big, and obvious, difference between 2015 and 2013 is the bike – there’s a huge shift in times at this year’s event. I believe the bike course has been adjusted since the slow initial year. 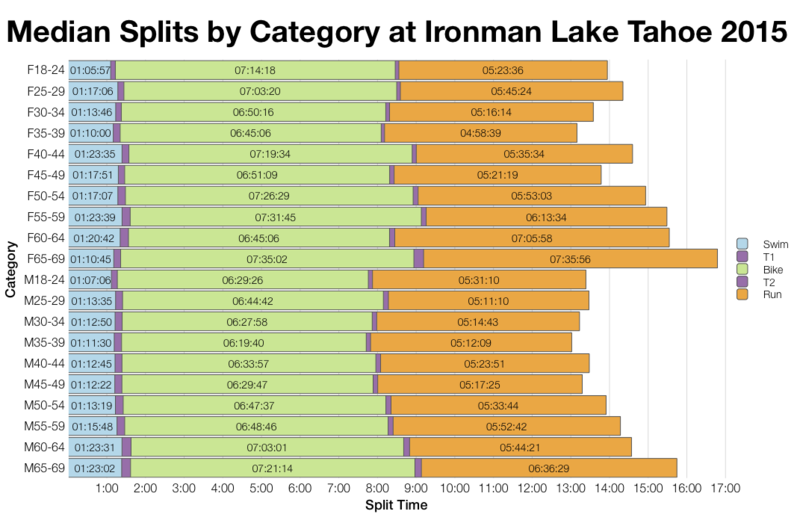 Alongside this swim times also proved noticeably faster, while run times came out slower. 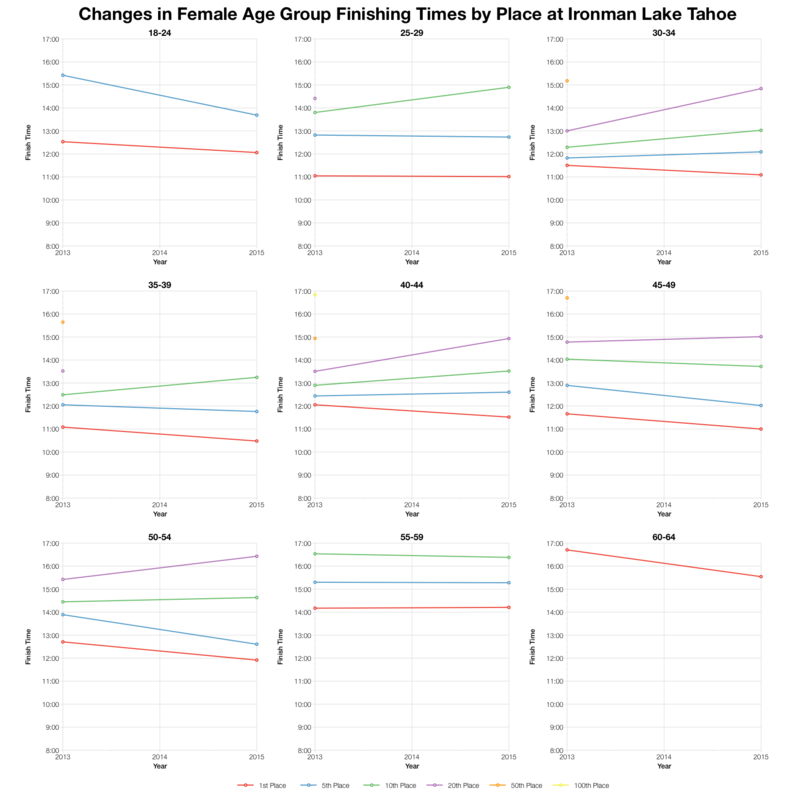 The overall effect was a faster finisher distribution than in 2013, but not of the same magnitude as the change in bike times. 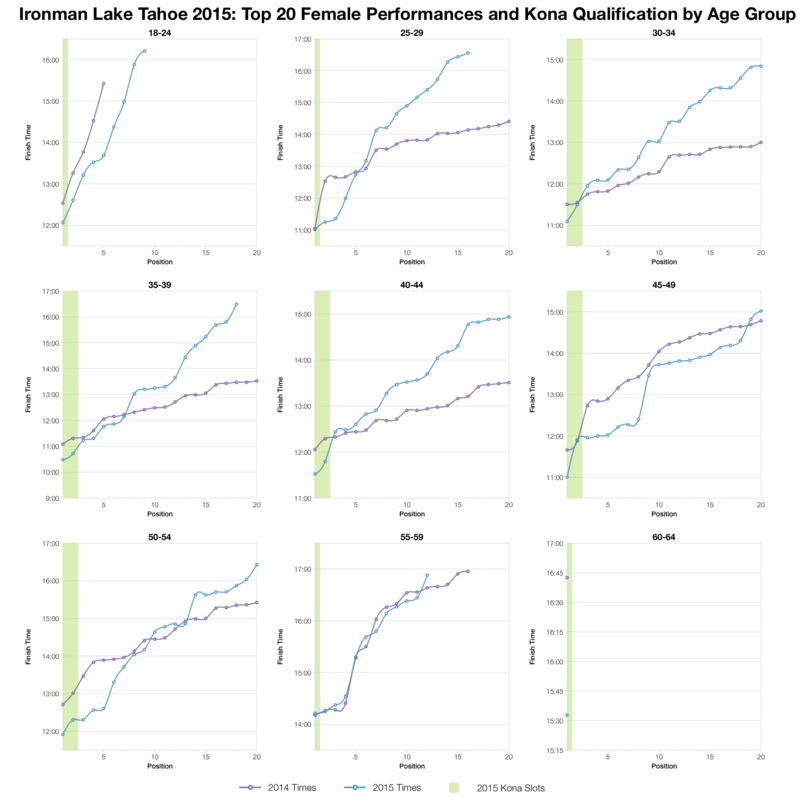 With a much smaller field of athletes the variability in age groups is bigger this year and it’s harder to pick out a clear pattern when comparing the median splits. 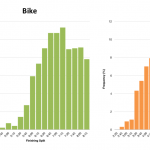 The bike is much improved as we’d expect given the huge change seen in the distributions. The run is, for the most part, slower this year, but the swim is a little more mixed. 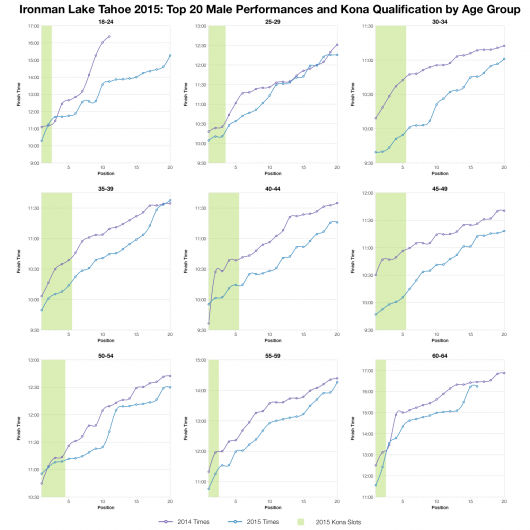 The overall result remains – most age groups were faster in 2015. 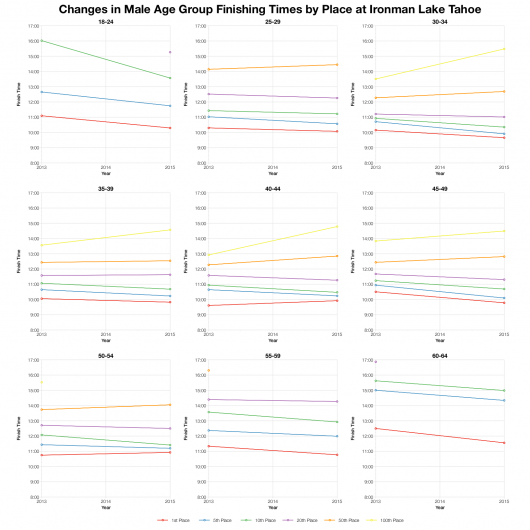 Looking at how times have changed for different finishing positions across the age groups, there’s quite a spread. 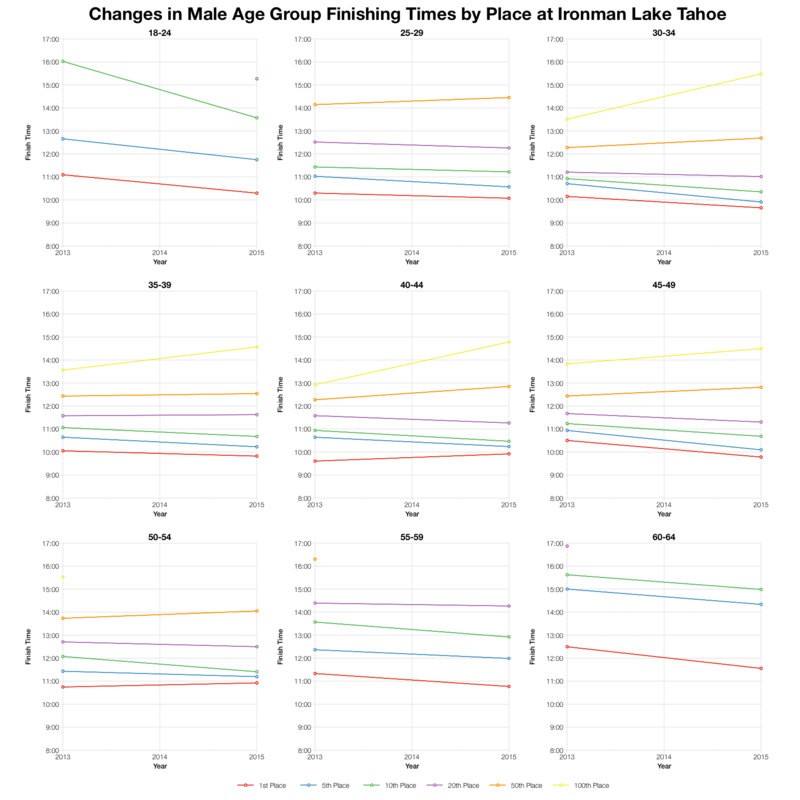 Generally at the front of each age group we see an improvement in times, but moving further back this is less likely to be the case. 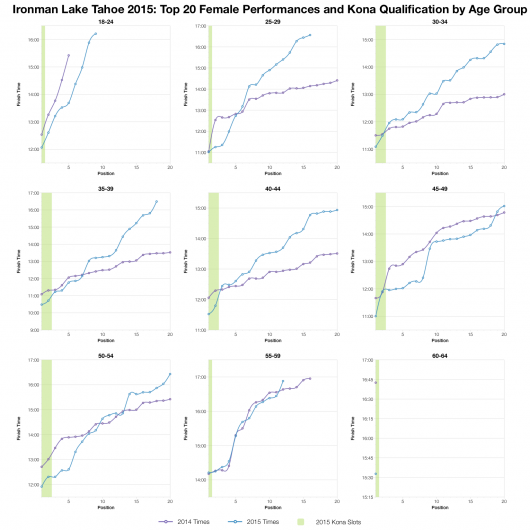 However, the most likely cause is the reduction in entry numbers, meaning where 100th place might have been the top half of an age group in 2013, it could be the full age group in 2015. 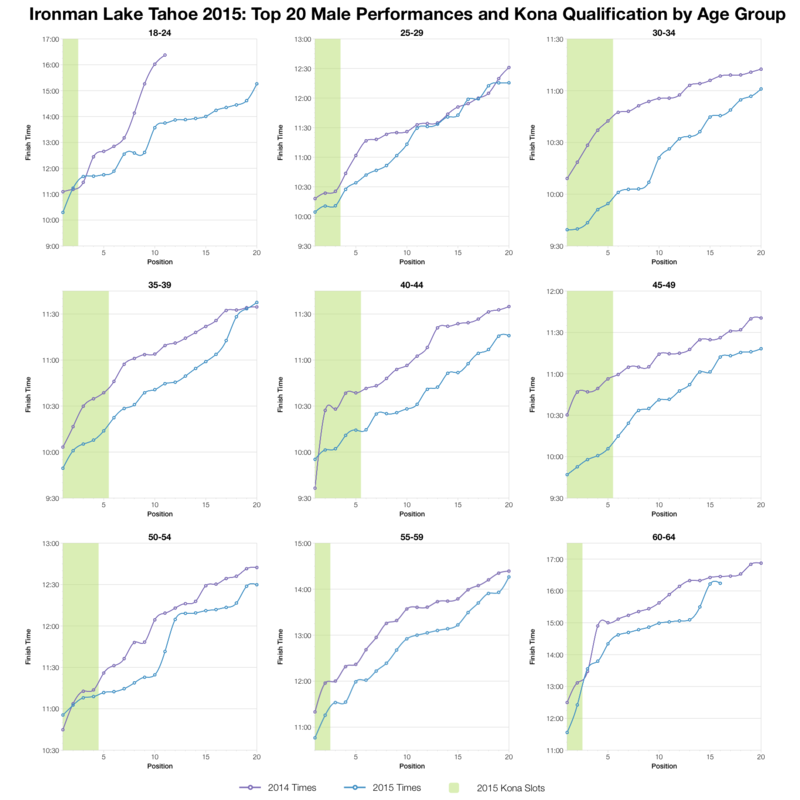 In most male age groups we see that the top twenty finisher times are faster than their 2013 equivalents. 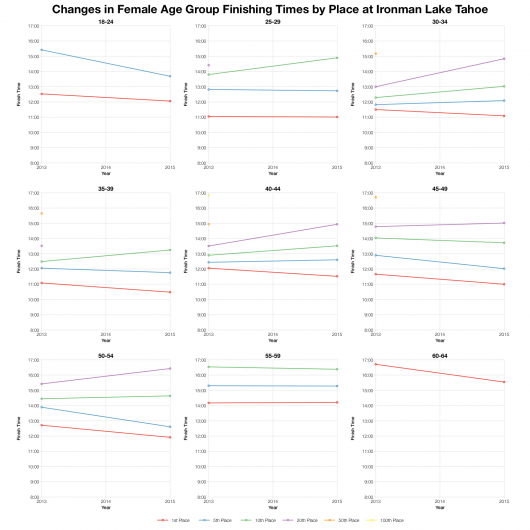 For female age groupers this is not the case and it’s only the top 5-10 places where the 2015 results pull ahead. Again I suspect this is a result of reduced athlete numbers and much smaller female age groups. 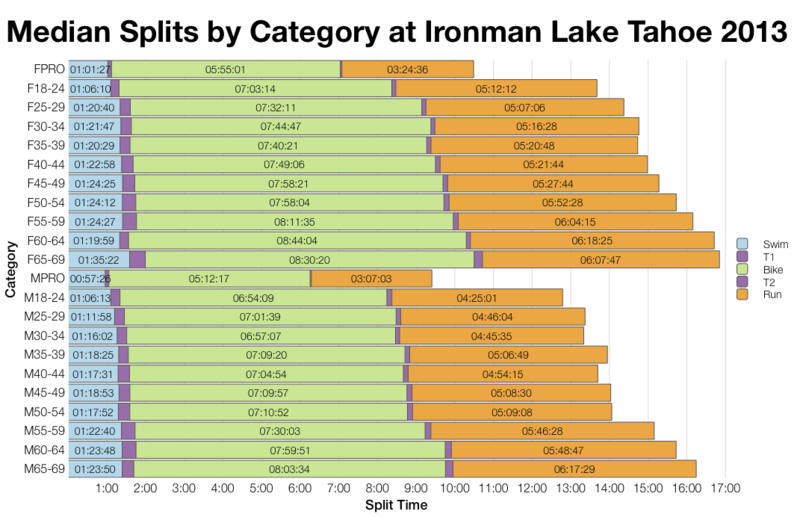 Overall 2015, with an adjusted bike course, is a faster race, but remains one of the toughest Ironman events around. Times are slow here and while a smaller field may have impacted competition a little, it’s not an easy qualifier by any means. 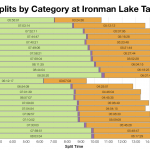 You can access a spreadsheet of the full results and splits from Ironman Lake Tahoe 2015 on my Google Drive.